Where’s the joy during the holiday season? Outdoors, of course. Cold crisp air, misty mornings or, if we’re lucky, a white landscape could greet us once we’ve pulled ourselves away from fire, hearth and TV. If we’re very lucky, the family may get to dust off that sledge. Either way at Christmas it’s best to gather the family and head out to a trail or explore the Ludlow area, which we know is resplendent with towns, villages, natural beauty and all of our hills. If that’s not enough to make you get your coat and walking boots on, there’s history viewed through castle ruins, the many beautiful churches, historic homes and Iron Age hill forts littering the landscape to name but a few. Clare and Dave Wright, who run The School House B&B and blog about their area tell us about the walkers’ paradise where they live in Clun and suggest walkable loops to try. 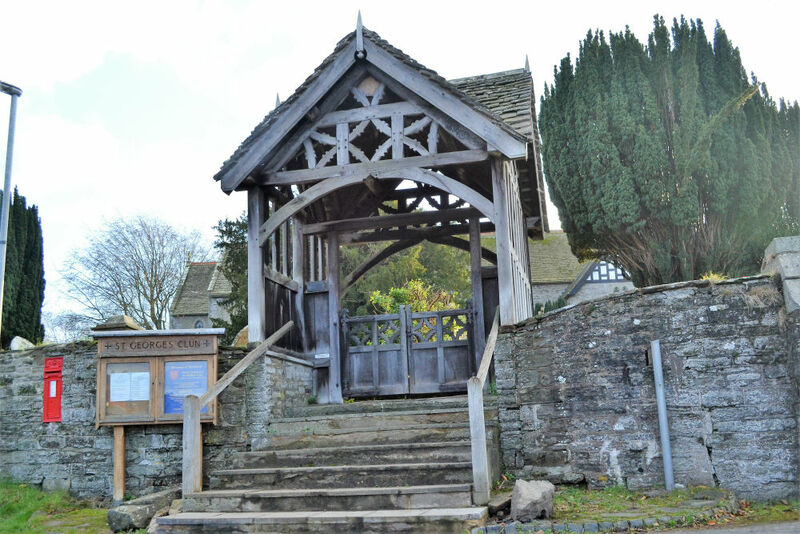 If you enjoy walks, the Christmas holidays really are a tailor-made period to gather families and friends and head out to towns and hamlets in the Ludlow area. Because we moved here from Sussex three years ago, we can’t recommend Clun enough. We love it here, it’s a place of natural beauty, stunning walks and our medieval history. It’s an ancient town on the border of Wales in the undulating Shropshire Hills and is just 30 minutes from Ludlow. Clun extends a warm welcome to walkers and all visitors. One of the lovely things to discover about Clun is its medieval history, the dramatic 13th century castle ruins that adorn the hill just above town is one facet of it; but of course, its Marcher history is so much deeper. Author Bruce Chatwin was said to have been inspired by Clun’s atmosphere and setting for his book, On the Black Hill. A.E. Houseman in A Shropshire Lad, wrote "Clunton and Clunbury, Clungunford and Clun are the quietest places under the sun”. We won’t guarantee sun but absolute quiet, serenity and a wildness that feels special to our area is a given. Nowadays, you’ll find Clun to be a lively network of twisting streets with friendly people running small independent shops and tea rooms where you can dose yourself up on tea and cake either before or after you hit the walking trails. We enjoy ales at the White Horse Inn, which has its own great microbrewery, The Clun Brewery. Running across the River Clun is one of the oldest packhorse bridges in Shropshire, narrow with low parapets to accommodate a packhorse’s panniers, they were built before 1800. Now the bridge is a good place to take a stroll and take in the views. We recommend Offa’s Dyke to our guests particularly if you’re coming to the area for a longer period, but closer to town are quite a few good walks and we’ve highlighted three energetic walks. We also suggest using the car park located next to the River Clun as it’s an ideal place to begin your exploration. This is a 5 ½ mile walk which heads south from the town and goes up to the Forestry Commission plantations of Black Hill. It offers views of Clun Castle as well as the Iron Age forts on the top of Caer Caradoc at Chapel Lawn and Bury Ditches at Guilden Down. Find a map here. A 3-hour (5 mile) walk which cuts across Guilden Down to the Bury Ditches Hillfort before looping back to Clun. This walk has the advantage of having a tea break with delicious cakes (if planned well) close to the end of the route. There is an honesty stall with a variety of jam and preserves to buy located just outside the house. Find a map here. A moderately easy walk of about 3 hours (5 ½ miles) with sections that are on level lanes offers great views of the Clun Valley is the Rock Hill Walk. It starts and finishes next to the Bridge Coffee Shop so refresh yourself first and then rejuvenate at the end. Find a map here.